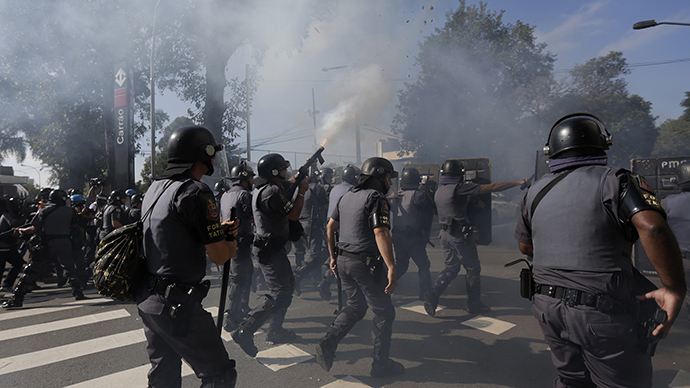 Brazilian police have used teargas and stun grenades in San Paolo clashing with about 200 protesters angry with the govt overspending on the 2014 FIFA World Cup. 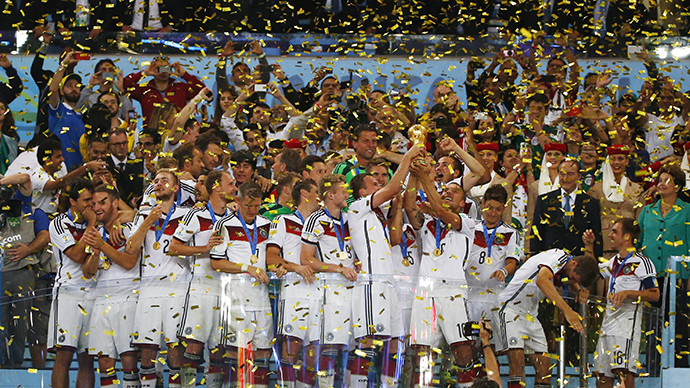 This occurred hours before the tournament’s opening game to be held in the city. There were also reports of rubber bullets that were used against peaceful protesters who were trying to cut off a key venue leading to the Arena Corinthians stadium – the location of the first game of the Cup between hosting Brazil and Crotia. 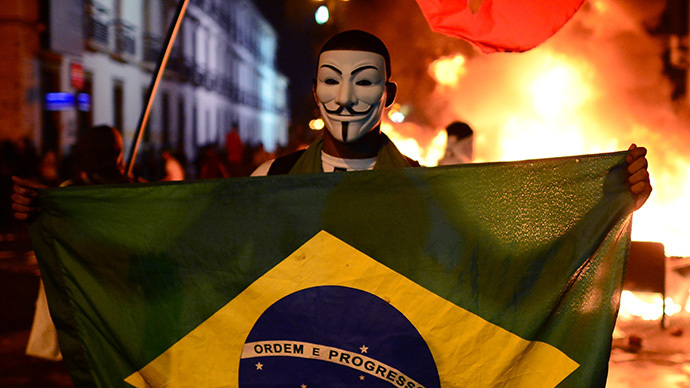 At least one protester was arrested, local television channel Globo News reported. At least five protesters were injured, accoring to local police. CNN reported its producer Barbara Arvanitidis and reporter Shata Darlington were injured as they were covering the demonstration. CNN journalist Shasta Darlington said on her Twitter, "Thank you to @WyreDavies and cordon of protesters who helped our @Arvanb01 after we were hit by canister at protest #CNNWorldCup"
The protests are expected to grow before the opening game at 5pm local time (20:00 GMT). A Reuters witness said the police applied tear gas for a second time to disperse a small crowd of protesters who gathered again after previously being dispersed. 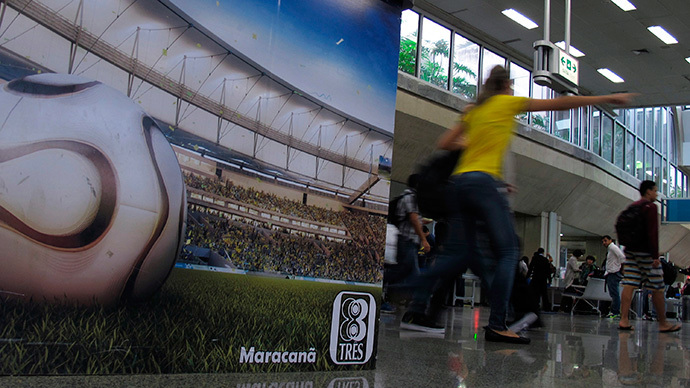 Many Brazilians are angry with the government spending over the $11.3 billion on hosting the World Cup while the country has been experiencing economic problems. The Brazilian government has also been criticized for the frequent delays during the construction of the Arena Corinthians stadium that will host the World Cup games. Not only was the $525 million facility delivered six months late, but $150 million was spent over budget. The Thursday opening game will be the first ever to be played in the stadium which is a rude violation of FIFA's normal protocol for World Cup games. 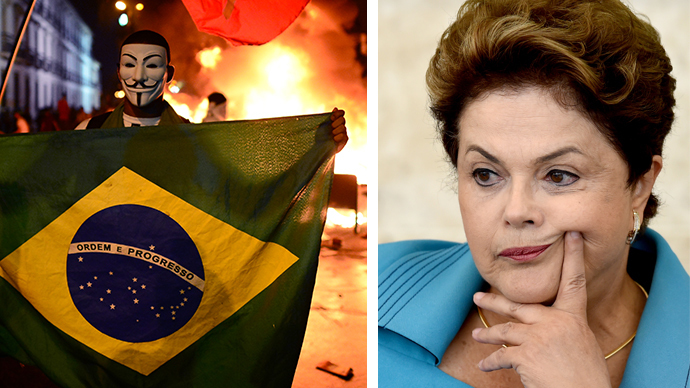 President Dilma Rousseff has dismissed complaints about the heavy spending and delays saying that the people should be in high spirits giving more support for their home team. "What I'm seeing more and more is the welcome given to the teams and the happiness of the Brazilian people with our team," she said in a speech on Wednesday.